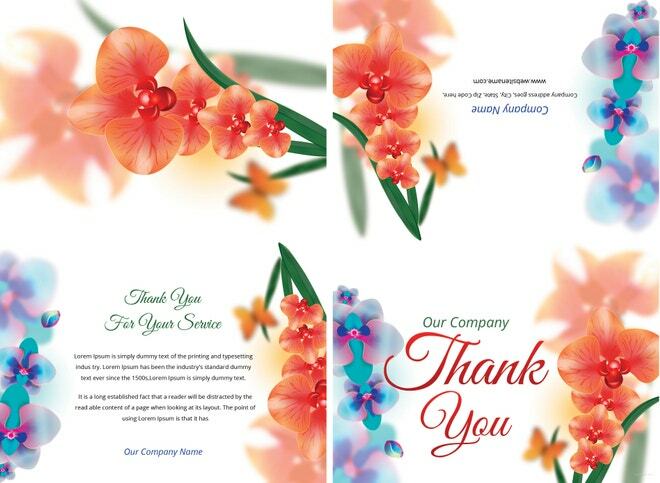 Give your loved ones a thoughtful note with our selection of Thank-You Card Templates. These templates will make it easy for you to send out a big thank-you to all the people who’ve made a difference in your lives. 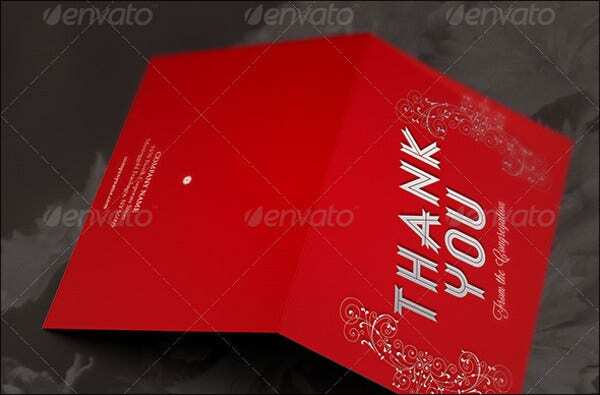 Your recipients will appreciate the effort that you’ve placed into making the card, but it’s really not much of an effort because the professionally made Thank You Card are very easy to customize since they come in PSD, Vector AI, and EPS formats, which you could modify with the illustrator software of your choice. 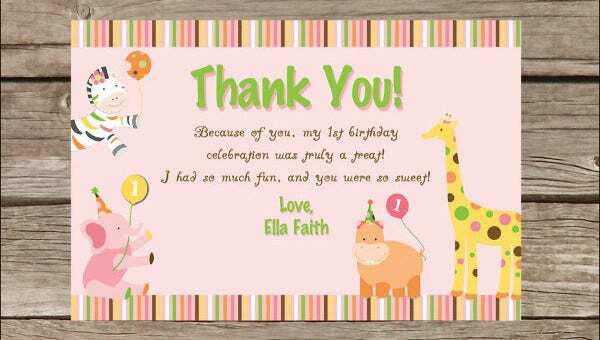 Our templates range from holiday cards to birthday cards and even blank templates for other events that need a personalized thank-you note. 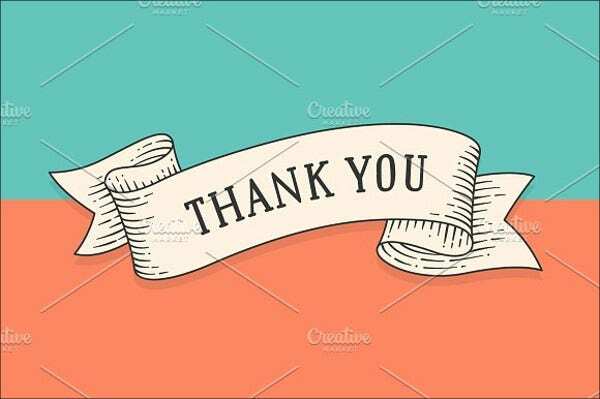 Show how grateful you are to a family member or even to your clients with the printable Thank You Card we collated in this article. Sending wedding thank-you cards are a polite way of thanking guests for being present on a couple’s or your own wedding day. 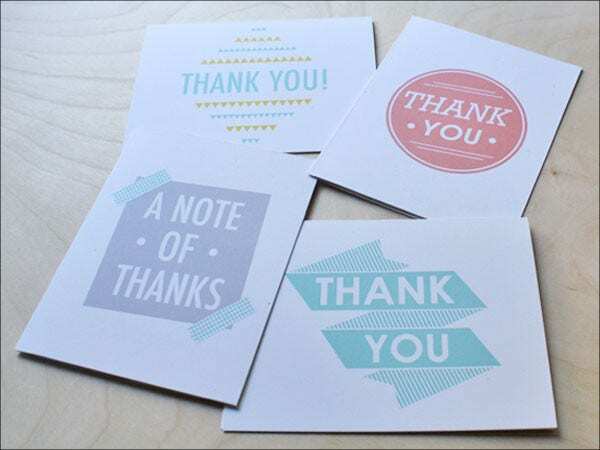 You can never go wrong with beautiful thank-you cards sealed with heartwarming designs like ours. Holiday Thank-You Cards. Spread the holiday cheer with our bold red thank-you cards that’ll place a smile on your guests’ faces. Birthday Thank-You Cards. Did your kid have a blast on their birthday party? 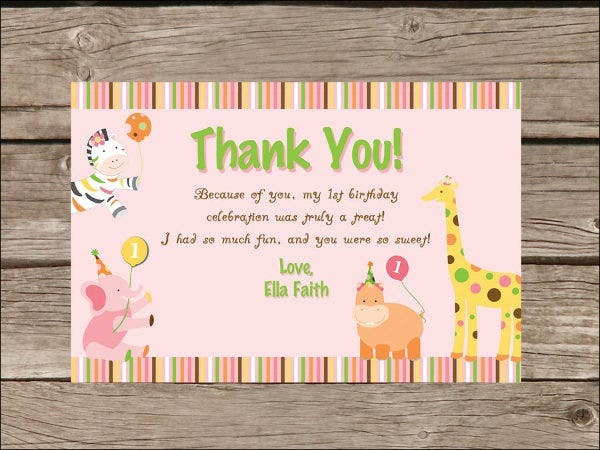 Wish their friends well with our colorful animal birthday thank-you cards. Wedding Thank-You Cards. Received tons of love on your wedding day? 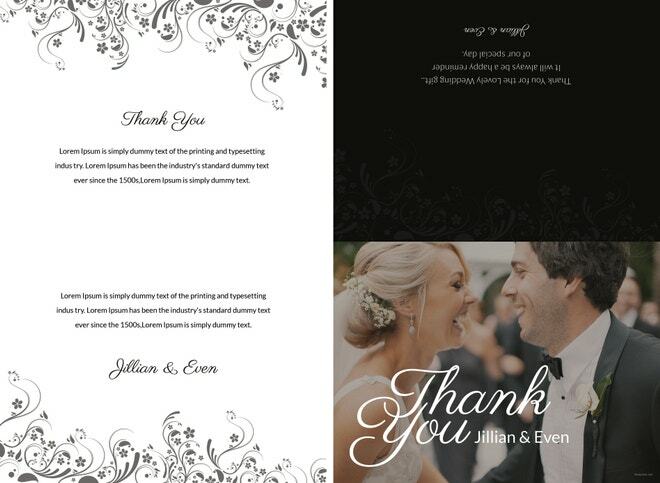 Return the favor by thanking your guests through the wedding thank you card template. Graduation Thank-You Cards. Want to thank your parents and a partner-in-crime pal who has been by your side all throughout your entire schooling? 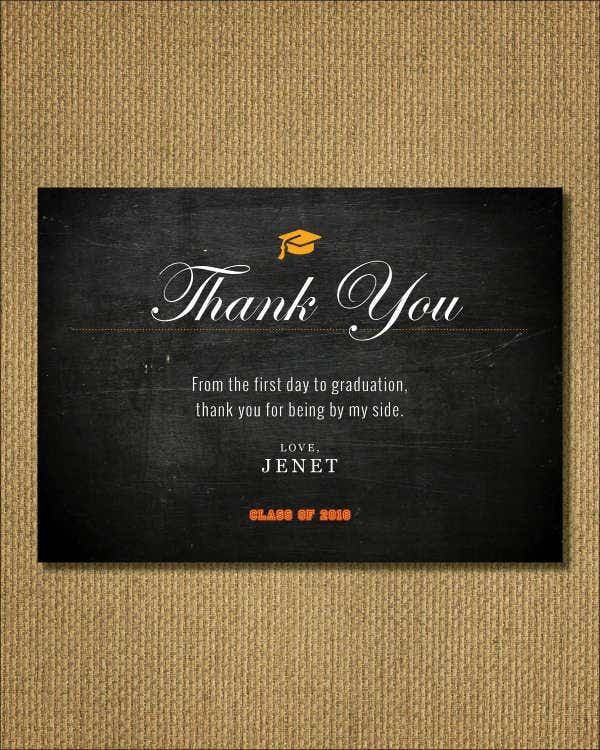 Get this graduation thank you card template for them. 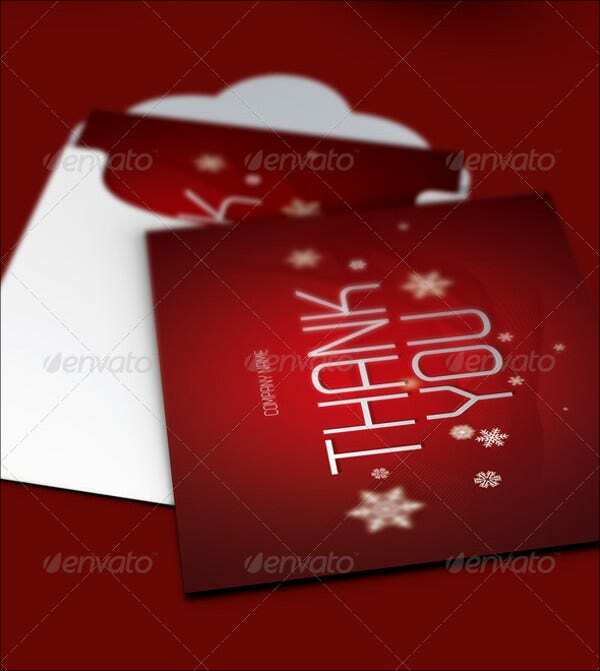 Christmas Thank-You Cards. Christmas will never be complete without sending thank you letters to your loved ones and guests. 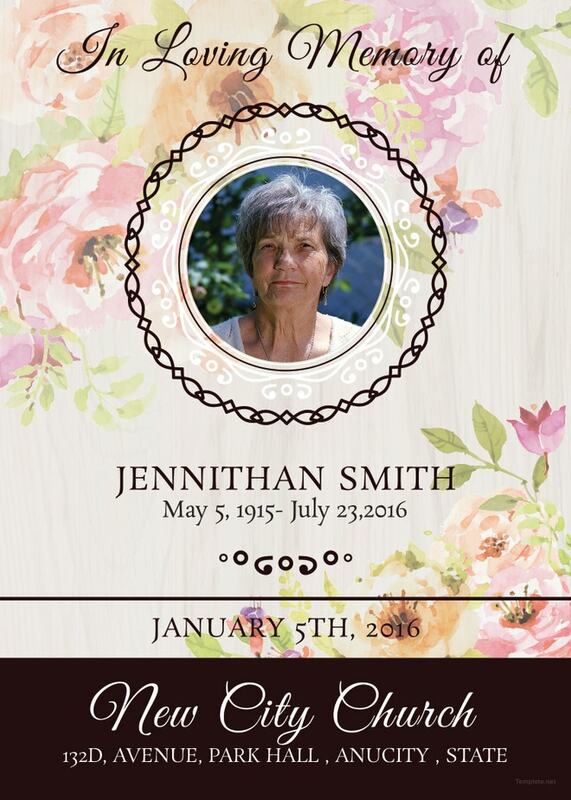 Blank Thank-You Card Templates. Have an event in mind that’s not included in our list of templates? No problem. You can use the blank thank you template. Graduation thank-you cards have got to be the most special gift you can ever offer to the ones who’ve supported your dreams. It’s not easy acing those tests without the financial and moral support, and that’s why graduation thank-you cards are valuable, simple tokens to appreciate all the love that your parents or guardians have put through for you to finish your schooling. Father’s Day. Appreciate your dad once in a while with a Super-Dad thank-you card. Mother’s Day. Moms have always been there through thick and thin, and even when you’re away, give her a simple thank-you card to show your love. Christening or baptism. 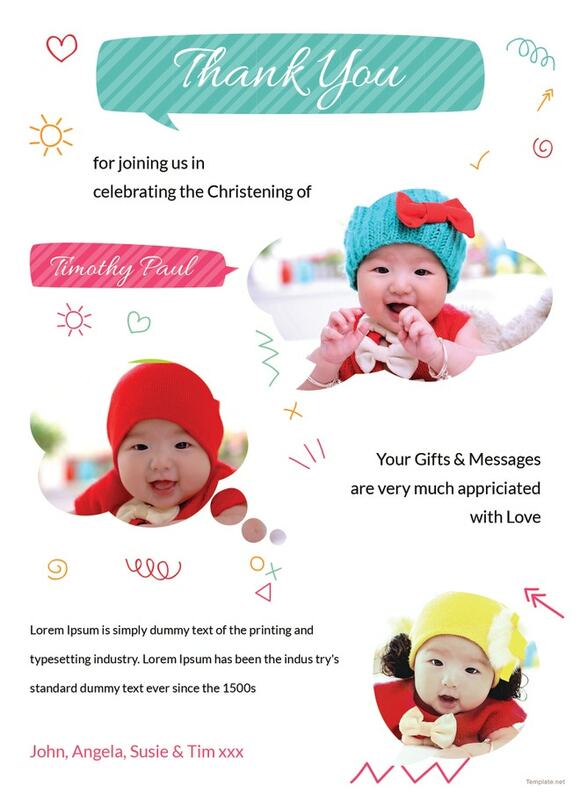 Give your child’s godparents a letter of gratitude for coming and showering your child with gifts. Sweet sixteen. Send out a beautiful and stylish thank-you to your girlfriends by making a sweet sixteen thank-you note using the blank template. Product/company launch. A company thank-you card for partners and clients is one way of building a continuous and strong relationship with them. Housewarming party. Thank all your friends for dropping by your new house by customizing the blank thank-you card template with a lovely photo of your new home. There’s simply a lot of things to be thankful for. 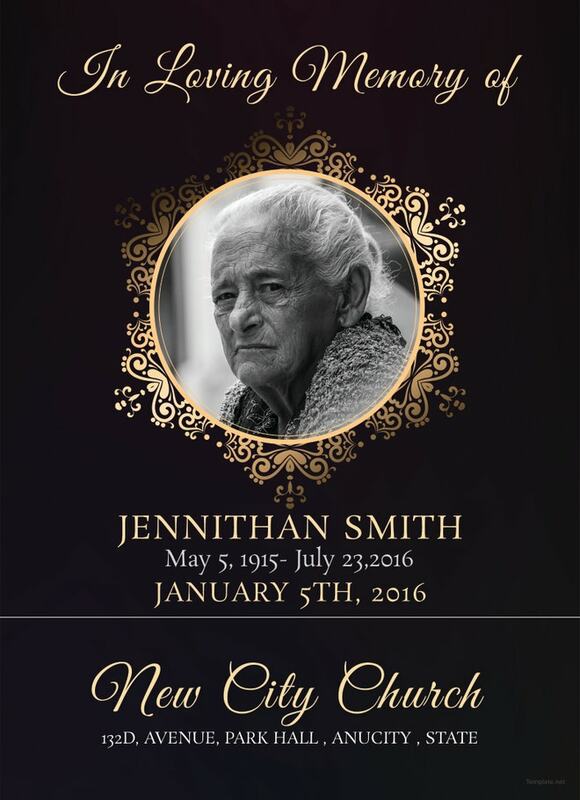 Make sure to write them down with a short, heartfelt thank-you.